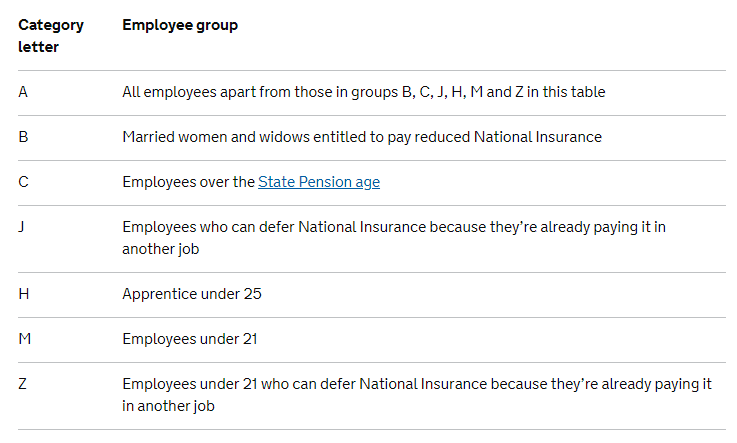 Employers must use an employee’s National Insurance category letter when running payroll to work out the National Insurance Contributions they both need to make. Since 6 April 2015, employers are not required to pay Class 1 secondary NICs on earnings up to the ‘Upper Secondary Threshold’ (UST) for employees who are under the age of 21. Class 1 secondary NICs will however continue to be payable on all earnings above the UST.